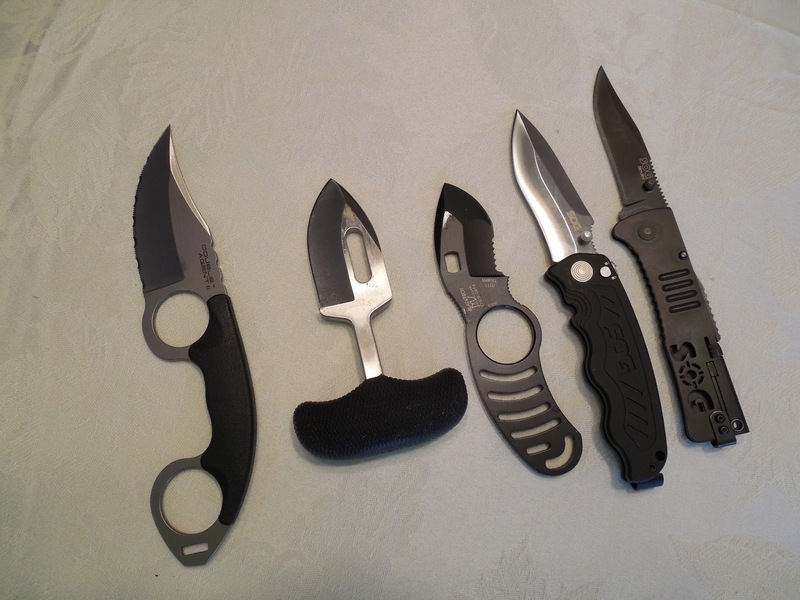 What is it about edged weapons, aka knives? 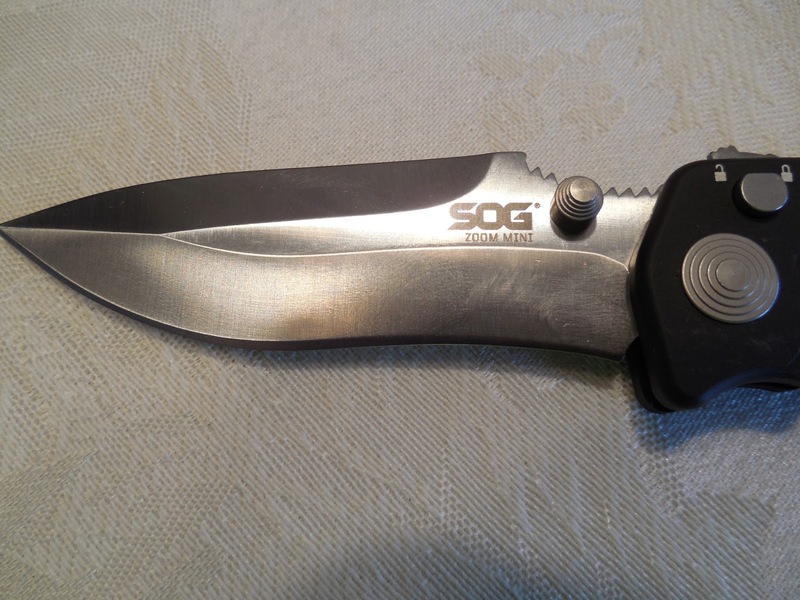 but my favorite are the SOG knives. It is the quality for the price that attracted me and keeps me coming back. I’ve carried a Slim Jim model for over a year, it fits in my purse, pocket, even slips into my dress boots. 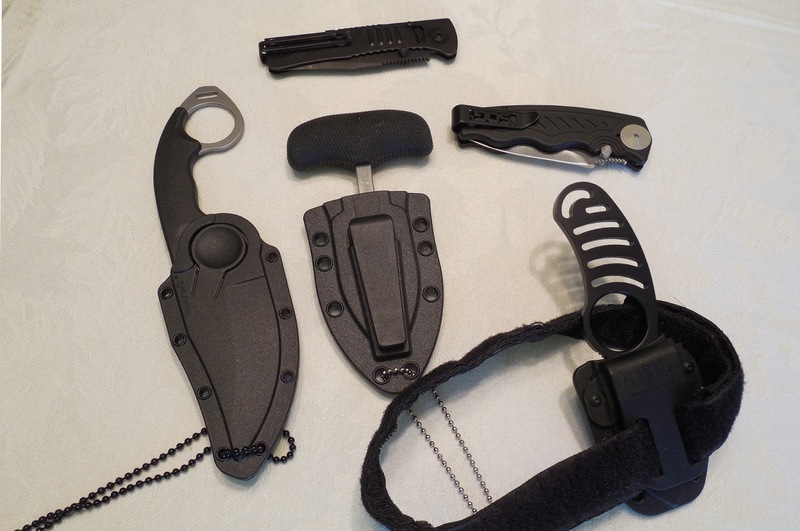 It is slender but sturdy, easy to flick open, and comes in handy for a variety of things, from cutting open a package to prying a stuck casing out of my gun. And, in a pinch, self defense. 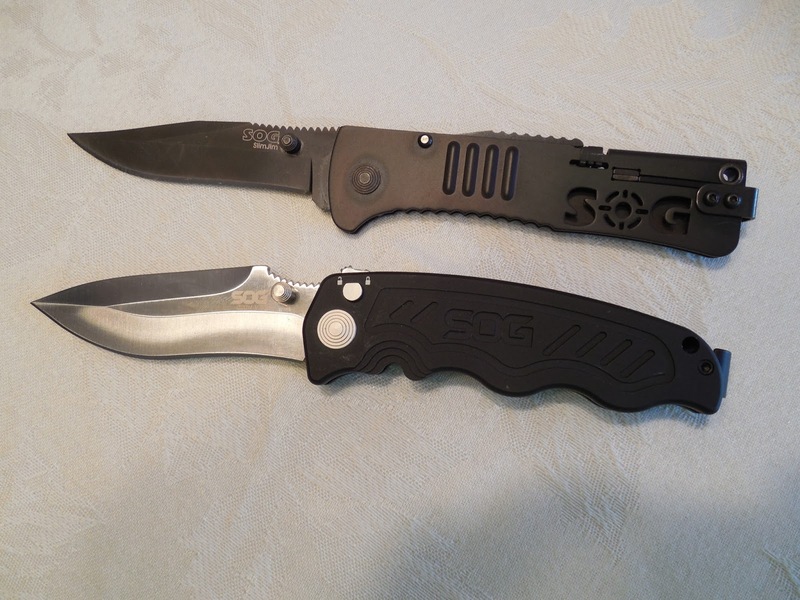 Knives aren’t my first choice for self defense, because odds are good, if you fight with a knife you will get cut, but gosh, they are better than an empty hand. 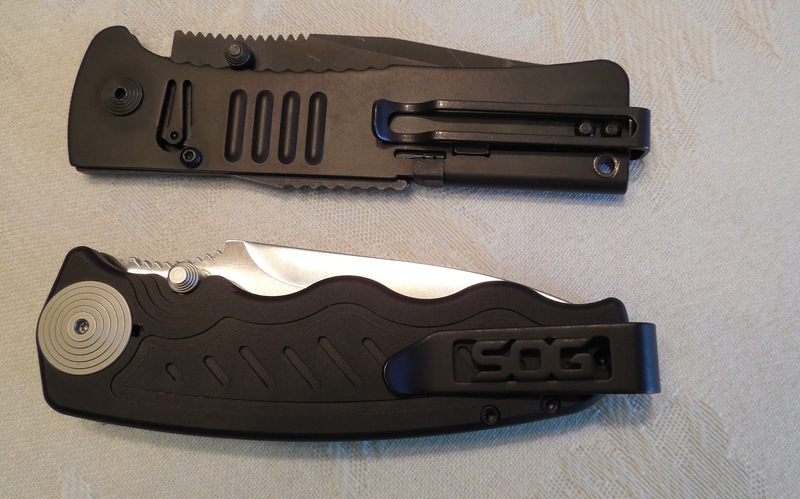 I just got the new SOG Zoom Mini. LOVE IT! It is a little more substantial than the Slim Jim, but the assisted thumb opening is amazing. It is still very compact, just a little wider and heavier. I like the extra weight, and the grooves for my fingers, as well as a serrated area on the back of the blade to rest the thumb. 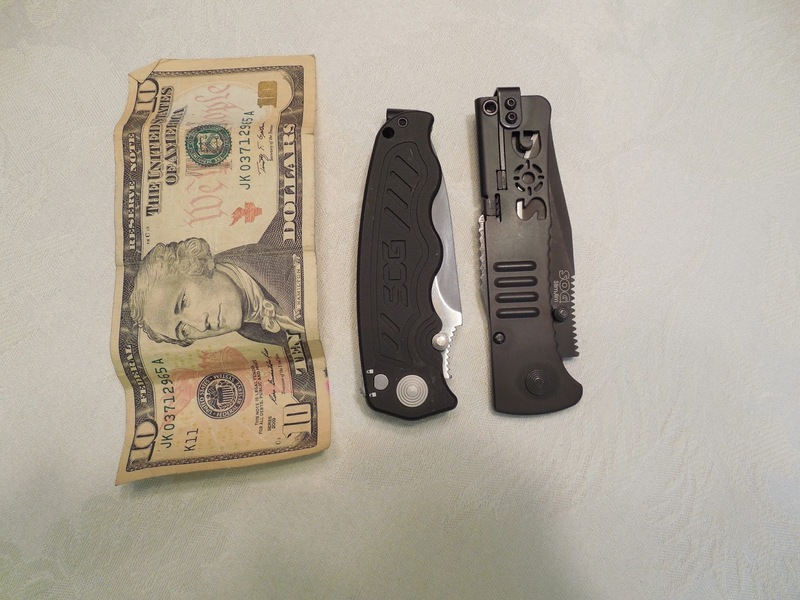 It had a push button release to fold back up and a clip that rides high so it virtually disappears in your pocket. This is my new GO TO. You never know when you will need a knife, why not have a good one! 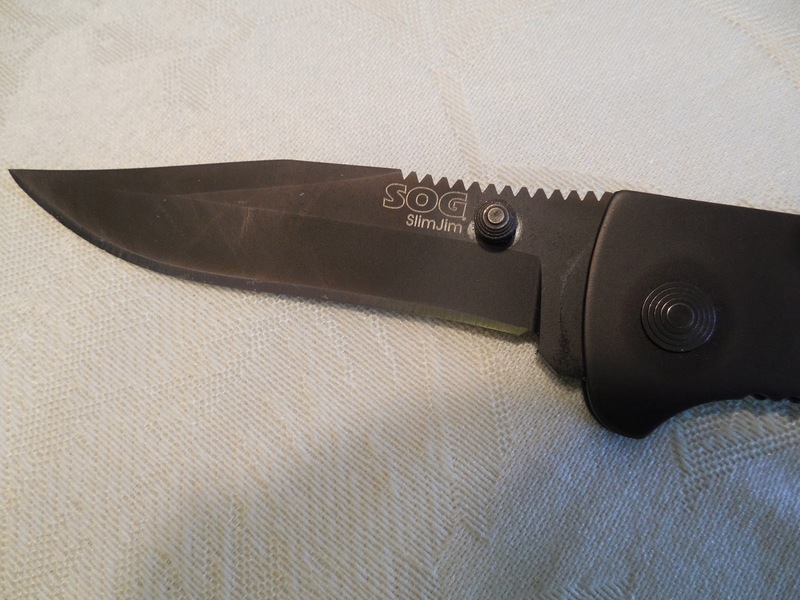 You can find SOG knives on Amazon and on the SOG website as well as many retailers. New Energy Sponsored by Remington: The Women of BLACKHAWK! Darcie Neville and Darnetha Elmore both served in the military prior to their careers at BLACKHAWK!. Their active-duty experiences have made their work producing supplies for military and law enforcement even more meaningful. "Ground Fighting: The presentation and practical application of various techniques of reversal and escape for average citizens to augment their pistol and enhance their capacity for self-defense. Protective gear in the form of a cup and glasses recommended, but not required. This class will be conducted indoors at Zamora Boxing Gym in Culpeper from 0900-1600. Cost is $150. Collapse Medicine: Best described here: COLLAPSE MEDICINE. This class will run 0900-1600 at the Culpeper Holiday Inn Express and costs $150. (Bring extra money, because Greg sells top notch first aid gear, at nearly his cost, right after the class.) Cost is $150. 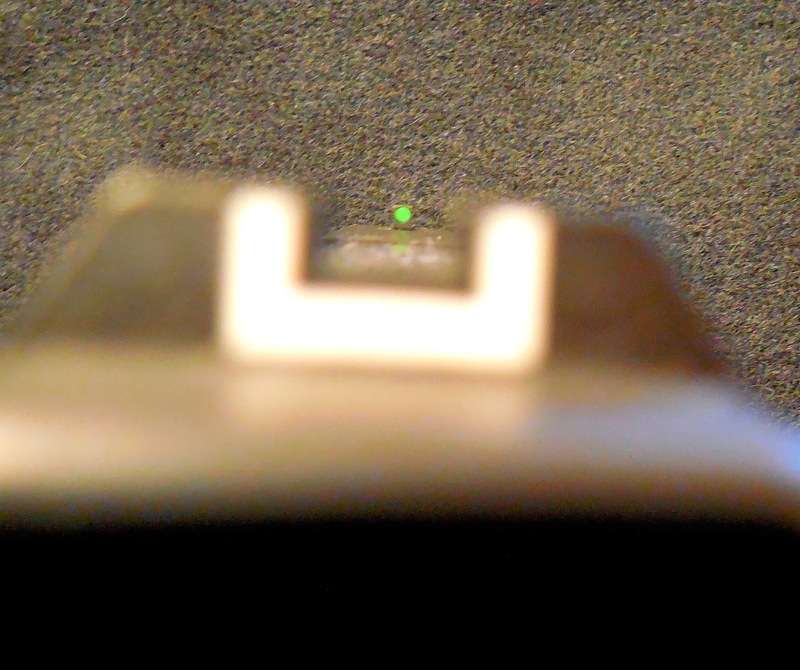 Registration is available at my nifty new website: http://www.fpftraining.com/fpf-sponsored-training-opportunities/"
Is your Front Sight Bright? 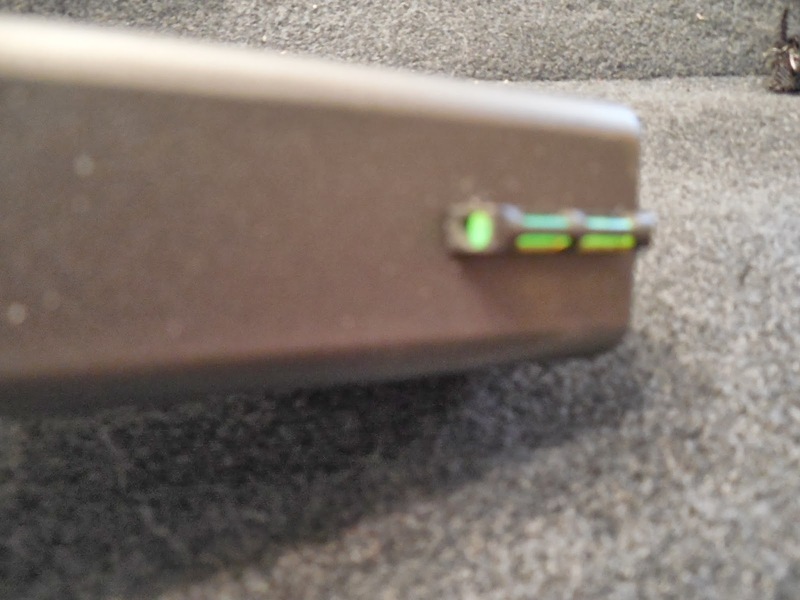 I just got a Hi-Viz front sight installed on my Glock 19. I really like the front post being bright and a different color so I have contrast and it is easier to see. The green dot (and it could be white or orange) really stands out between the rear notch. I had a Glock Armorer install mine, I’m not the build it myself type, but it didn’t look that hard. I tried it out on the range, and it was easier on my eyes, very clear and easy to see. 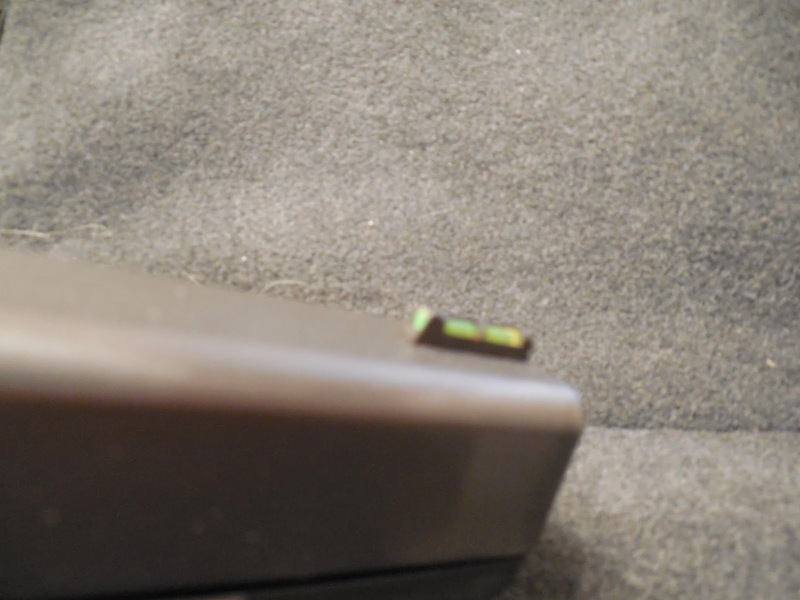 The green tube fits into a holder of sorts, and the sights came with a tool to allow me to swap out the green for another tube. It is a small change that makes a big difference. I really noticed it in lower light, the front post was easier to see. 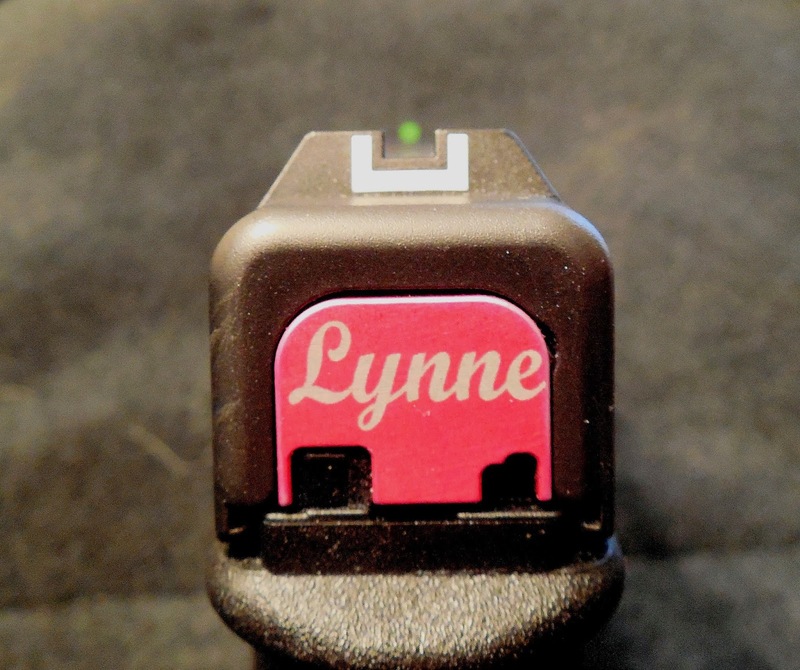 Thank you to Scott from Hi-Viz, whom I met at Shot Show for sending me the sight to try. I like it. Check out the website, they are available for a broad range of firearms and they have front and rear sights. Do you know The Best Defense? Offered on the Outdoor Channel, The Best Defense is hosted by Mike Seeklander, Michael Bane and Michael Janich. I record this show and watch it multiple times because I found that watching an episode once isn’t enough, I catch something new each time. The use real world scenarios, show the worst outcome and then walk you through different ways to respond that gradually minimize the risk and danger. Each host is extremely skilled, but one is the primary shooter, one works knives and basic martial arts techniques that aren’t so intimidating that I feel like I could never do them. They are all entertaining, down to earth and realistic. I’ve learned so much watching this show. When I was at Shot Show I had to opportunity to meet Mike Seeklander. He was so kind and open. I want to give him a little shout out here. Shooting Performance is Mike’s training company, and he offers a range of courses and training materials. I haven’t had the privilege to train with him yet, but I do have his book, Your Defensive Handgun Training Program, it is well laid out, easy to follow, with lots of photos, drills and tips. Great Program, Great Folks, and Great Training! Would you have approached a man, who hadn't been shooting next to you , and critiqued his grip? 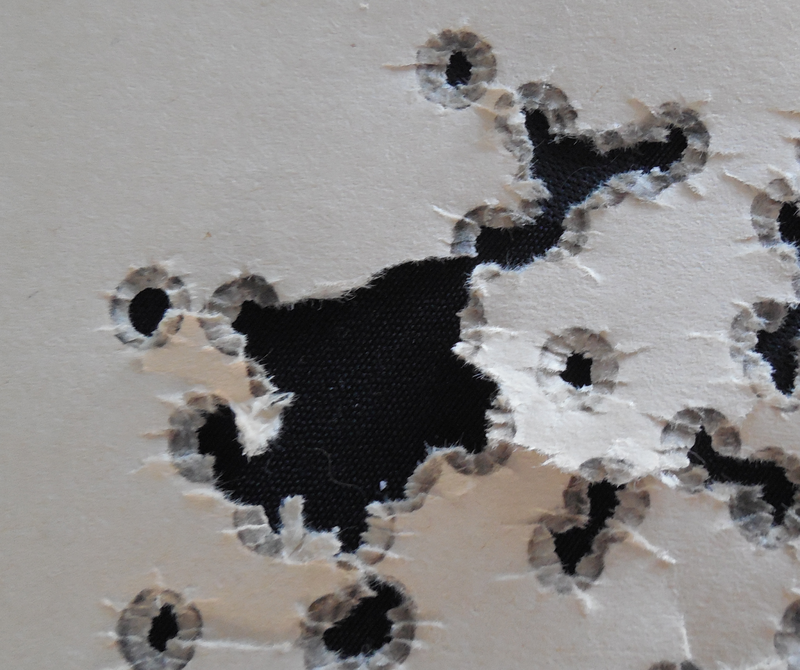 Would you have told him that his firearm was jumping too much for a 9mm? Are you a credentialed instructor? Did you think it was ok to talk to me that way based on gender? Do you have any idea what my experience level might be? Let mw save you some time. If I want your advice. I'll ask. However, I'm more likely to consult an experienced instructor. Couple outliers, but not too horrible, 20 feet, speed... Yes, I was walking a little, my arms hurt, but still, that pattern is well within center chest range. So, well intentioned bystander. Thanks but no thanks. Note to self. When you decide to name your new company, don't just write it down, say it out loud first! OK, now my company is F&A! Well, it has a ring to it! Big things are happening for F&A, the third book is underway, the second, due approximately Aug of this year is in editing. The third, working title, Female and Armed, Keep Calm and Reload, is in the writing phase. It is a follow up to Taking Your First Shot. So many women have asked for more advanced work, advice, drills...so...book 3. Full time job, teaching, magazine articles, blog...and 3 books in 3 years? Am I nuts? Well, maybe, a little. But I'm also dedicated to what I do. I love the idea of teaching, everyone, but especially women, to shoot, to defend themselves, to watch that empowerment and sense of awe on their face when they realize...I CAN DO THIS! I'M GOOD! Nothing in the world like it. Ok, name dropping time. I met some amazing women at Shot Show. Kathy Jackson, whom I consider a friend and an awesome lady, Julianna Crowder, finally met IRL, love her!, Lisa Looper, genius!, so many other amazing women and...Vicki Farnam! I made a fool of myself when I say her name badge asking "Can I meet you?" 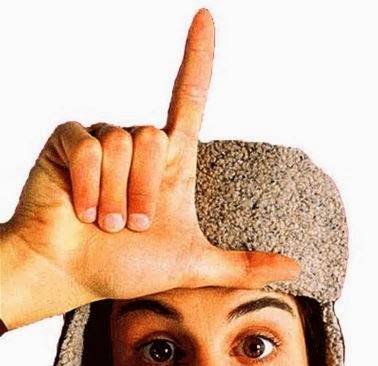 I should have just put my thumb and index finger in the L on my forehead! She is awesome, I adore her. So many gifted, talented, smart women...so many women attending...We've come a long way baby!! Now, F&A is getting more opportunities. You know I've been focused on training parties, but am starting to get inquiries from regional ladies to do women only advanced classes. I'm so excited, I want to do this and am thrilled to get the chance! I took my 308 rifle to the range, and well...I've ordered a shoulder pad. In the interim, I have lovely shades of green and purple where I should have flesh tones. I'll let you know what I think of the pad after I've tried it out. 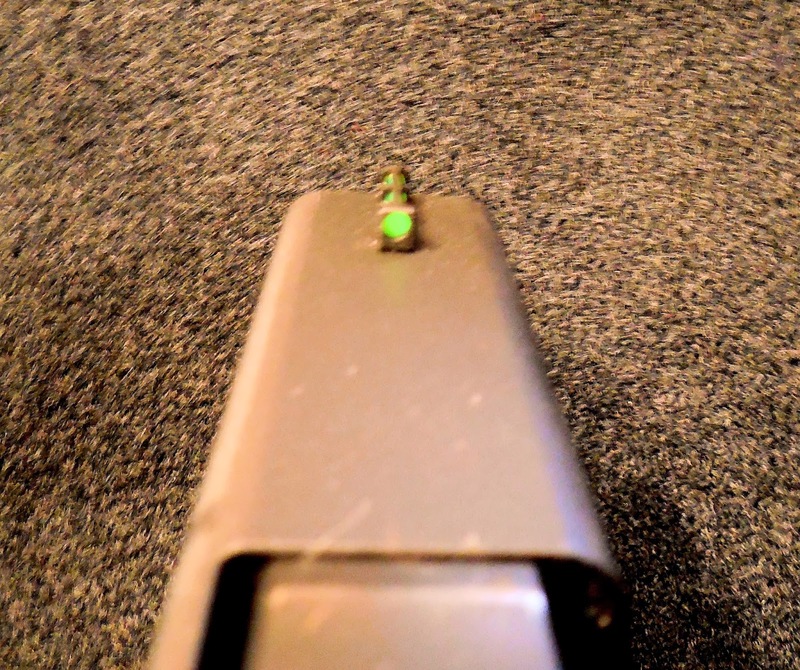 I also just have a Hi Vis front sight installed on my Glock. Thank you Hi Viz! At first glance, I love it! I will probably shoot with it this weekend and will be giving it an appraisal after that. Thanks for joining me on this incredible journey!